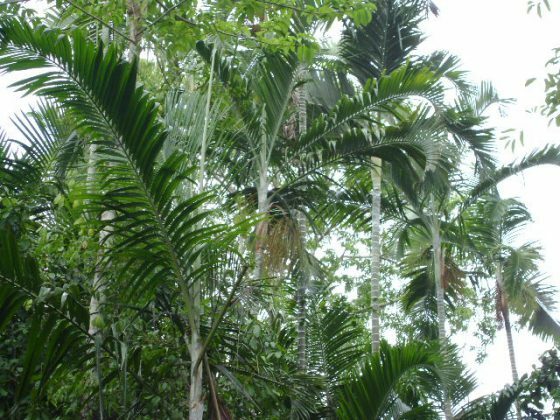 Dypsis pembana is only found on the island of Pemba where its forest habitat is degraded and threatened by farming, wood collection, fire and invasive species. 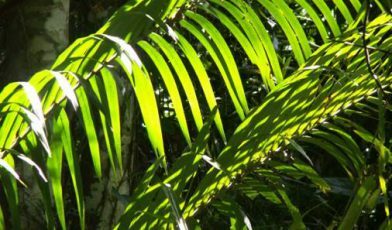 Improve local sustainable management of forest patches in northern Pemba, to increase populations of Pemba palm Dypsis pembana and other native trees. Pemba Island, off the coast of Tanzania, forms part of the Eastern Arc coastal forests – a global biodiversity hotspot. Having been separated from the mainland for over 10 million years, it has evolved many endemic species, including the Pemba palm Dypsis pembana, a narrow endemic found mostly in the Ngezi Vumawimbi Forest. Human population pressure on Pemba’s natural resources is high and the forests are now severely fragmented. The Ngezi-Vumawimbi Nature Forest Reserve is the largest protected forest on the island and is surrounded by ten villages. Therefore, despite its protected status, the forest is threatened by fires, small scale agricultural expansion, and unsustainable extraction of timber and other forest products. As well as the Pemba palm, the reserve hosts Zanthoxylum holtzianum, a little known tree species, until recently thought to occur only in mainland Tanzania. 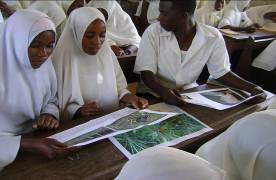 Between 2009 and 2011, this project worked with the Pemba forest department and local communities to survey, conserve and restore the palm, and to increase awareness of the need for forest conservation and sustainable management. Actions focused on securing and restoring the Ngezi-Vumawimbi Nature Forest Reserve and nearby forest patches in northern Pemba. This project directly increased the population of the Pemba palm. Community tree nurseries were extremely successful and grew seedlings to strengthen existing populations. For instance, in 2011, 34,400 tree seedlings were produced and 9,400 seedlings were planted into the wild, including 4,500 Pemba palms. To support tree nursery and planting activities, 34 villagers received training (both theory and practical) in topics such as site selection, sowing, weeding and transplantation. An invasive plant believed to prevent growth of local trees was also removed from key areas. To reduce the pressure on the forest for timber and fuelwood, 10 village resource use agreements were reviewed and revised. 638 people attended conservation education meetings and presentations, which covered issues such as watershed management, the importance of local threatened species, and how forests might be conserved by avoiding illegal harvesting and hunting. Forest fires are a notable threat to the fragmented forests, so 68 local stakeholders, including local community members, staff from the reserve and the Department of Commercial Crops, Fruits and Forestry, were trained in effective forest fire management. 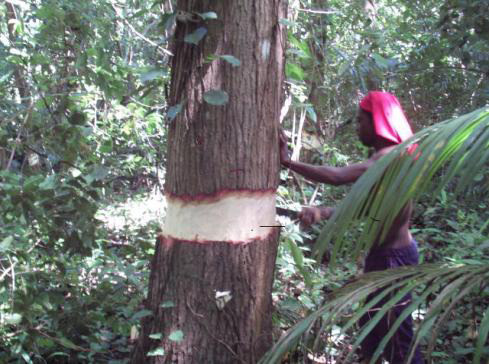 Overall, the project has resulted in an increased local awareness of the uniqueness of the Pemba palm, the need to conserve it and to manage forest resources sustainably. Improvements at the tree nurseries and improved skills in growing and nurturing tree seedlings are additional project legacies.